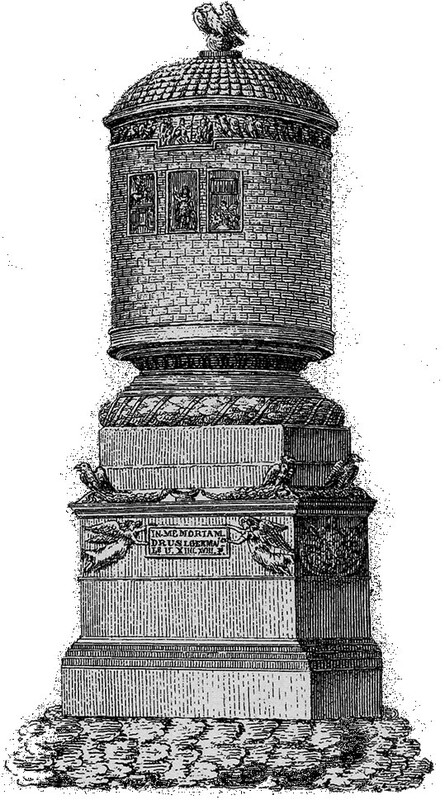 Reconstruction of the Drusus stone by Nikolaus Müller from 1839. Unedited Image found on Wikimedia Commons. There it is listed under a CC-BY-SA license by Kamée, upload von Martin Bahmann. However, since the creation date was 1839 it should be in public domain by now.